Thanks very much for your kind comments Monica! This is great. Love your work and imagination. Love it. Your images are crisp and clear. Awesome! 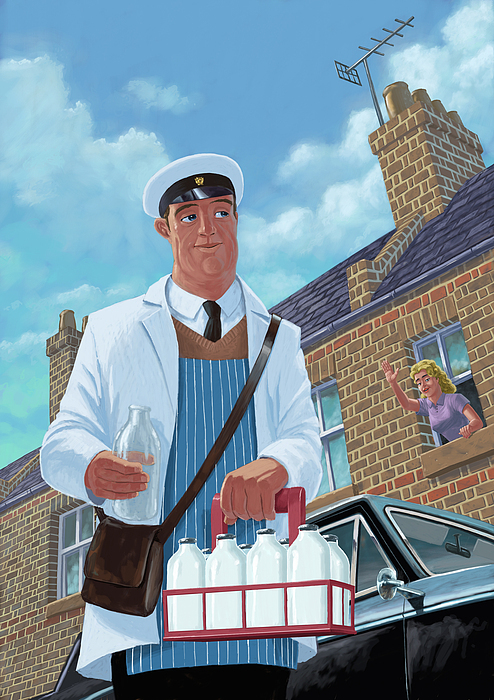 This digital illustration is of a milkman out on his daily milk round in a street. A woman is waving from one of the upstairs windows of a house in the street. 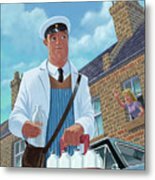 The scene is set in the 1960s. 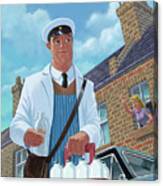 The milkman is in a traditional uniform of the time and the painting is at a low angle to show both the woman and the milkman, and to give interest. Painted in 2008.